The scheme starts with a phone call and a frightening message. You’re about to be arrested for tax fraud or deported from the country—unless you head immediately to a Bitcoin ATM and pay a fine or fee. The person on the other end of the line is neither a Canada Revenue Agency agent nor an immigration officer, but a criminal looking to defraud you, according to a statement from Toronto police on Friday. Toronto police issued a warning after noticing “a significant increase” in calls from victims who report having been defrauded of thousands of dollars in this way. The phone calls often come from fake numbers created online through technology that allows the perpetrators to change phone numbers and spoof caller IDs. This technology makes it challenging for law enforcement to track down the numbers, but the task becomes even more difficult if the schemes operate overseas. While similar schemes have been around for a number of years, the requested method of payment is changing. Now, scammers are asking victims to make their payments in Bitcoin or other cryptocurrencies. Bitcoin is an almost perfect instrument of crime, Nichol said. Toronto police do not have statistics on the number of victims of such crimes, but say that there has been “an uptick” in reports from victims. In Edmonton, police say that 111 people reported falling victim to the CRA scam from January 2017 to February 2018, and said that fraudsters took more than $300,000 from them. More than 75 per cent of the cash that went to the perpetrators during that time was sent using Bitcoin. Part of what makes these crimes so difficult to track, Nichol said, is that the vast majority of them go unreported. Toronto police stressed that the CRA does not send payment notices or ask for personal information through phone calls, text messages or emails, and added that it will never ask for payment of a fee or fine in Bitcoin or any other cryptocurrency. 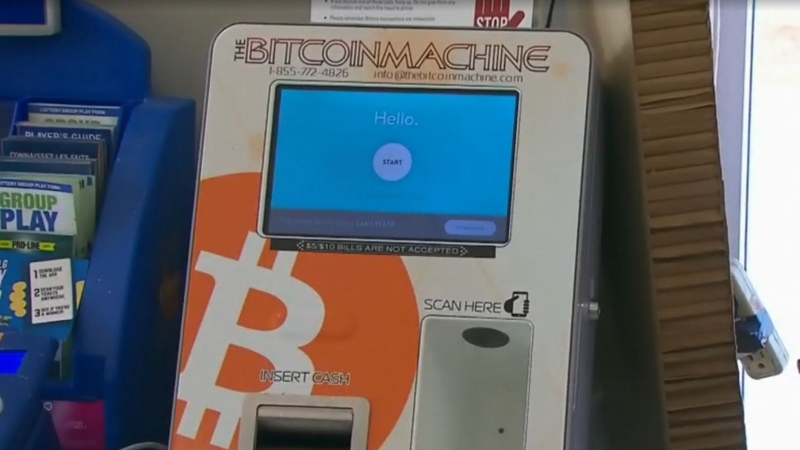 Toronto police is asking anyone who may have been a victim of such schemes to contact the police and is advising shop owners with Bitcoin ATM machines to display messages on their machines warning users about the existence of these schemes. As Bitcoin ATMs become more commonplace, criminals are increasingly turning to the cryptocurrency machines as a means to conduct transactions that are difficult to trace.